Data. It rules everything around us. 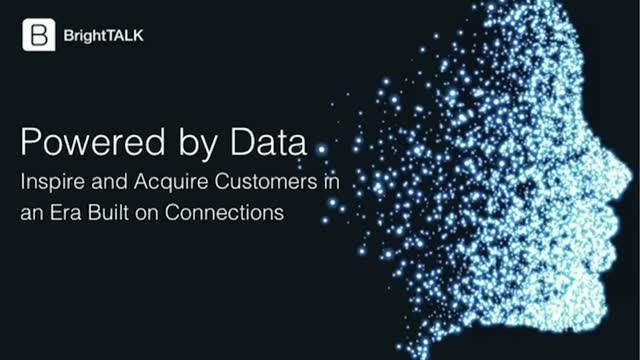 From identifying intent signals to engaging your ideal audience, marketers are steeped in collecting, enriching, and sanitizing data to deliver a connected experience. It informs who, what, where and how professionals audiences want to discover insights, learn to solve complex challenges and succeed in making better business decisions. Delivering a point of view that inspires and acquires new customers, is the currency in an economy powered by data. Sales tech stack: ✓ Martech stack: ✓ This year’s hot tech stack is for the channel -- which typically represents 75% or more of a company’s revenue. 2018’s breakthrough technology is PRM – Partner Relationship Management. This foundational system of record sits at the core of a chantech stack and everyone from Splunk, to Zendesk to Xerox have made PRM this year’s must have technology. IT leadership is uniquely positioned to ensure the quick, on-budget implementation success. Join this intense “Ask the Expert” session with one of Impartner Channel Innovation Labs top installation experts to learn best practices on how to streamline deployment of this highly-visible, revenue-generating solution. How do you support your business units? How do you decide to make or buy? How do you decide whether to use functionality from an existing vendor or bring in a totally new technology provider? These are the questions top IT teams are and should be asking. In this webinar you’ll hear from top IT leaders – and one business unit buyer – from today’s most progressive tech companies for insights on how they’ve navigated these questions for their organizations and helped them construct a world-class tech stack that outpaces the competition. Join Dave R Taylor, Chief Marketing Officer at Impartner for this live streamed panel during Dreamforce 2018 in San Francisco.